This ladies lab coat by Medco matches your need for comfort and durability with your desire for style. It has a classic cut, with a with a press stud closing. Three pockets for all your gear: two front patch pockets, one left chest pocket. 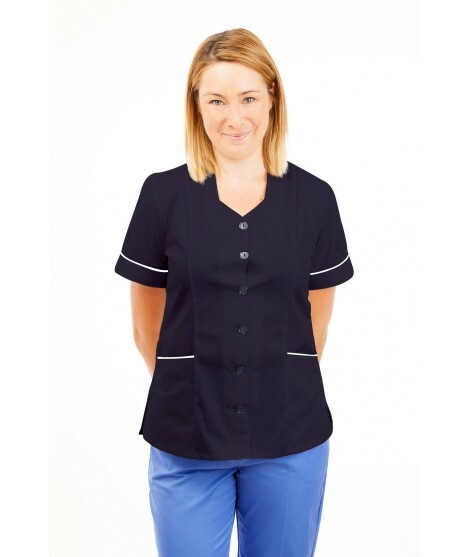 All our lab coats feature three big reinforced pockets, Average length is 35". The easy care fabric is 65/35 poly/cotton.